Sovereign bonds rallied after the central bank unexpectedly cut its key rate and dropped its hawkish stance citing easing inflation, providing relief to traders concerned about a record government borrowing program. The yield on the most-traded 2028 sovereign bond fell seven basis points to 7.50 per cent, cooling from 7.57 per cent just before the Reserve Bank of India reduced the policy rate for the first time since August 2017. The drop marked a shift in sentiment that had pushed up yields by the most since May last week on concerns about widening in the deficit targets. “While this is clearly a positive surprise as the RBI acted much quicker than expected, we are somewhat concerned with longer-term fiscal dynamics,” said Eugene Leow, a rates strategist at DBS Bank in Singapore. Shorter-end bonds outperformed while the drop in yields on longer-tenor paper was limited on supply concerns. “The amount of debt purchases by the central bank beyond February will depend on the evolving liquidity situation,” Governor Shaktikanta Das said. “The front end of the curve should respond to monetary easing expectations, while the longer end continues to reflect premiums owing to the worsening supply-demand equation in bonds,” said Vivek Rajpal, rates strategist at Nomura Holdings in Singapore. 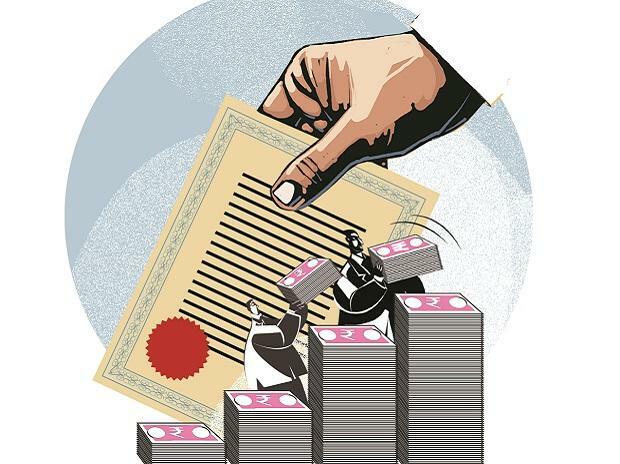 Bond investors had become skittish about the health of the country’s finances after Prime Minister Narendra Modi’s government on February 1 unveiled a record $100 billion borrowing to bridge a wider-than-expected deficit for the fiscal year starting April 1. The yield on the 2028 bond surged 13 basis points that day, the most in nine months.